Enjoy a candlelight visit to the Middleton Place House Museum and then stroll over to the Middleton Place Restaurant for dinner. 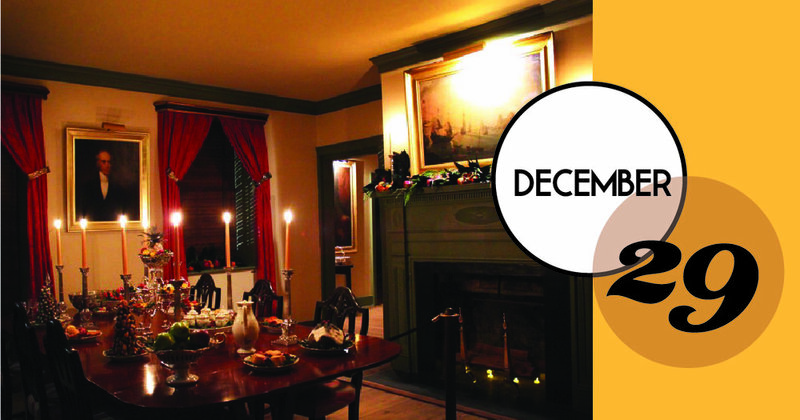 Guests will take a self-guided tour of the House Museum decorated for the holidays with guides stationed in each room. The menu at the Restaurant will include dishes inspired by Sarah Rutledge's The Carolina Housewife, a cookbook published in 1847 that includes many recipes popular in the early 19th century. Come and enjoy a holiday evening meal in the company of Sarah Rutledge herself! Click HERE for the menu and more information.